The RIMS Hospitalhas a proper functioning kitchen to meet the nutritional demands of its patients. Operating from a separate building of its own, it is an essential part of our institute. Run by the RIMS administraion, it has a Dietician as the in-charge, a diet clerk next in command and 18 other staff including chefs and assistants who work in 3 shifts round the clock. The kitchen is well equipped with utensils. The Deep freezers allow the storage of fruits and vegetables. The prime motto of our kitchen is to provide the patients with food that would suit their health status and meet hteir nutritional demands. Presently the kitchen prepares 3 types of diet viz. - mixed, diabetic and liquid. While the mixed diet is given to all patients, except the diabetic patients who are given a special diet to bed- ridden, postoperative, liver and kidney disease patients. 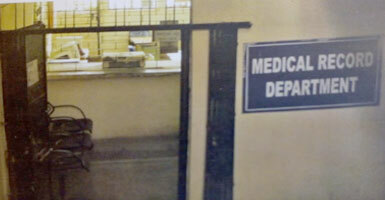 It caters to around 1500 patients everyday and a sum Rs 80/- is spent per patient per day. the basic diet includes rice, flour, pulses, fruits, vegetables, milk and egg in adequate quantities. The food varies from patient to patient, a proper diet chart is maintained as per the physician's advice. The hospital provides food free of cost to all its patients. The diet also includes non-vegetarian delights to seasonal fruits considering both taste and health of the patients. 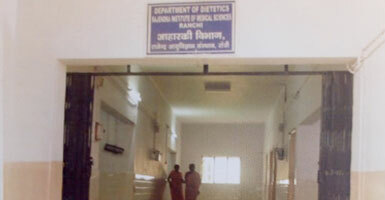 Special care is taken to maintain hygience and cleanliness. Surprise inspection is done on several occasions for the same. 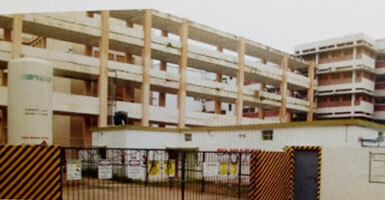 Wastage of food is avoided by giving extra to attendants or to the poor in and around the campus. Security is a number of prime concern for our institute and at present has been outsourced to M/S Everest Human Resources Counsultants that provide our campus with 365 able bodied well trained guards working tirelessly to maintain peace in the campuss & hospital. The district administraion also ensures the safety of the students, doctors, and patients by ensuring regular police patrolling, both on foot and by PCR van. Bed Head Ticket (BHT) that is provided from indoor of each department. The recodrs are not just maintained on paper but a soft copy of the same is also maintained on computer. The information relayed from the various sources is basically through two cahnnels. Networking-From the OPDs and the IPDs. Through the clerical staff of the concerned department. A clean and healthy environment is quintessential for the early recovery of any ailing person and laundry is an essential component of the same. the unit is both manually and mechanically equipped. 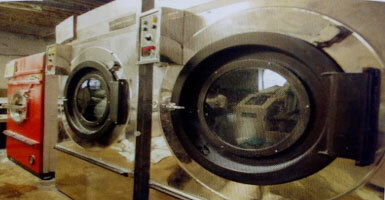 There are 6 washer men appointed for the job and the unit can boast for being a mechanized one in true sense. There are a number of semi-automatic equipments which include washing machines, hydro extractors, dry cleaners, linen dryer, hydraulic laundering and calendaring machines, etc. With the aid of these the cleanliness of wards, the patients and the college is smoothly maintained. 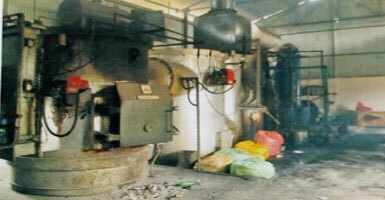 There are two medical gas supply plant at RIMS, Ranchi. the older one supplies medical gasses to general hospital while the newly established gas plant supplies oxygen, nitrous oxide, carbon dioxide and compressed air to the SSB and Oncology Blocks. At RIMS, both gas plants have been outsourced to m/s PRAXAIR under m/s SCIEMED OVERSEAS INC. There are totaly 1020 outlets in SSB and Oncology Blocks, where double outlet of oxygen also goes to Operation Theaters and ICU. The plant is looked after an Incharge who has 4 staff members working under him. To ensure proper functioning daily inspections are done. "Cleanliness is next to Godliness" may be an age old proverb but it is always the prime motto of any medical institute. The waste management and sanitation maintenance department of our institute serves an example to the above saying. Though there is no separate committee present in the institute for this purpose, yet is effectively and successfully managed through outsourcing. And this is done through recruitment of the outsourced agency on tender basis that is renewed every year. 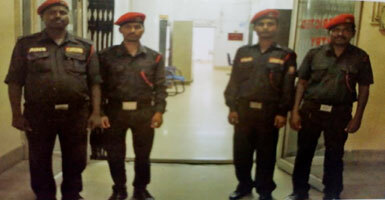 Presently the in-charge is Arjun Singh who is assisted by Sandeep Singh as the supervisor. Waste managament etc. With the aid of these the cleanliness of wards, the patients and the college is smoothly maintained.